Ranveer Singh is an energy ball. His love goes all the way to stay connected with his fans and being relevant. Our Gully Boy star is once again in the news for this energy but unfortunately not for any good reasons. 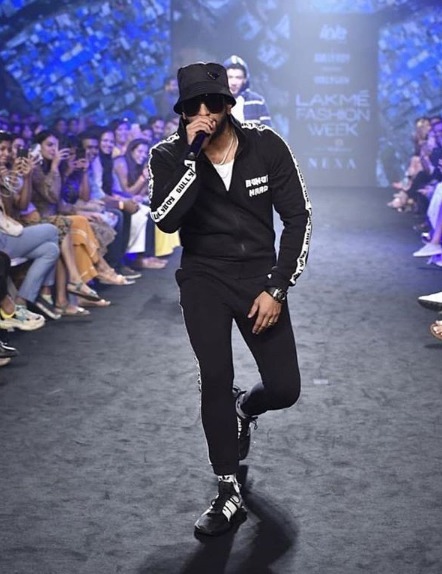 During the just concluded Lakme Fashion Week 2019, Ranveer Singh decided to spring into a performance for his fans. That was all cool until he decided to jump into his fans – that’s where things went downhill. Fans started calling out the actor for this over-the-top behavior. Some even went on to call his act an amateur move on social media. The actor accepting his mistake, personally messaged them on twitter and apologized for it. 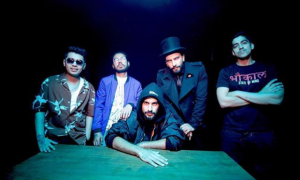 During the music launch of Gully Boy in Byculla, Ranveer pulled off a similar kind of stunt which all loved. 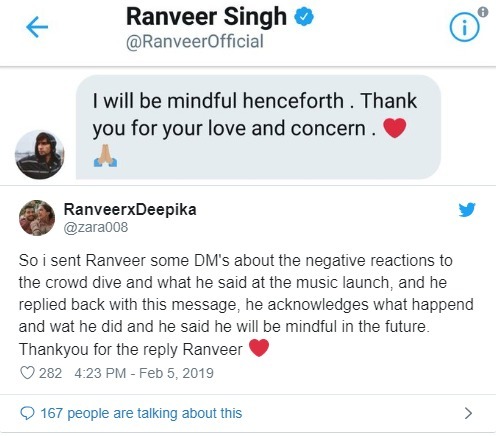 Just remember Ranveer, be careful next time cause pissed fans are the worst!